Reporting on health in the U.S. is a daunting task for any journalist, made more difficult by medical jargon and complex technical issues that need to be explained clearly, concisely and with meaningful context. This situation is only compounded when reporting on race and health — a relationship rife with historical injustice that has lacked consistent attention. This section examines the intersection of race and health in U.S. history and shares examples of quality health care journalism, as well as tips on putting together a solid, meaningful story. Understanding the disparities in health care among minority populations in the United States is vital to providing well-rounded coverage. Issues from the 20th century and earlier still inform the current state of health care in the black, Latino, Asian and Native communities. These communities continue to deal with the effects of medical racism. Historically, the country has experienced segregated hospitals, part of a racial bias that barred black doctors from state and local medical societies, and even funded federal sterilization programs that targeted women of color, immigrants, poor people and other “undesirable” groups. To this day, the consequences of such disparities impact the communities they targeted. Non-white people are more likely to encounter problems accessing quality health care than their white counterparts. Members of African-American communities cite expectations of racism and/or experimentation as reasons for distrusting physicians. Black men and women have lower life expectancies, in part due to higher mortality rates for health issues like heart disease and cancer, for which they get less quality care. Harper S, Rushani D, Kaufman JS. 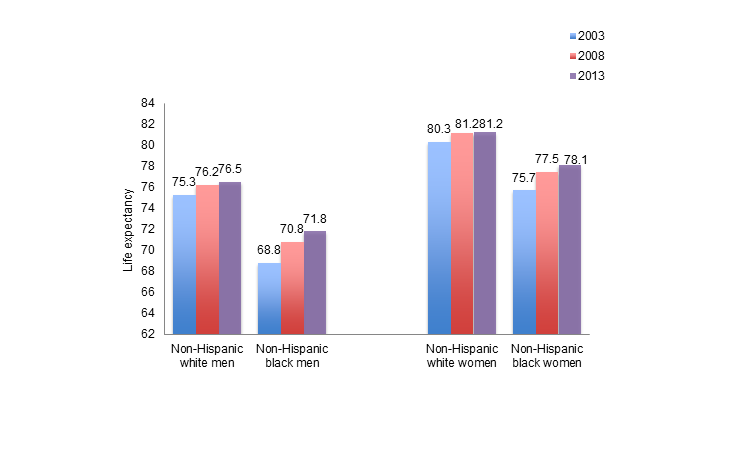 Trends in the black-white life expectancy gap, 2003–2008. JAMA. 2012; 307 (21): 2257-2259; and Deaths: Final data for 2013. National Vital Statistics Reports. Available at: http://www.cdc.gov/nchs/data_access/Vitalstatsonline.htm. Accessed May 1, 2016. Figure 6. Life expectancy at birth in the US by race/ethnicity, 2003 and 2008. Graph via Boston University’s School of Public Health. Plotting the historical intersections of race and health is the best way to understand the current attitudes and actions of the health-care community. According to a 2007 study, physicians asked to rate their patients’ pain on a scale were twice as likely to underestimate pain in black patients as compared to all other ethnicities combined. 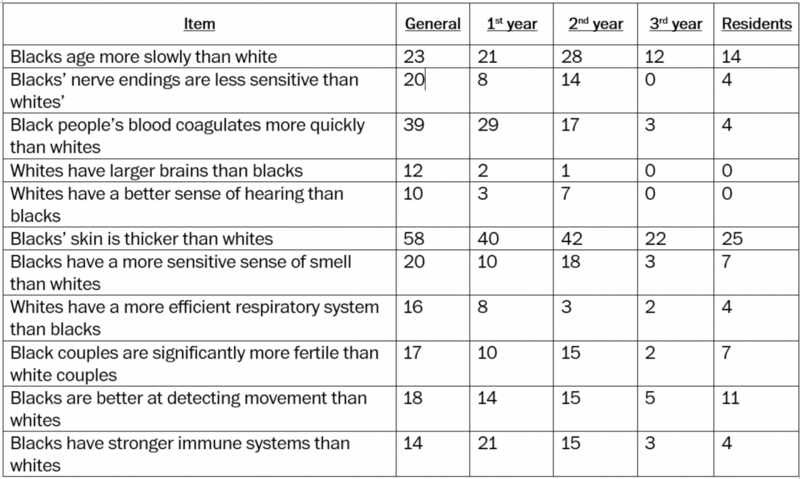 Percentage of white medical students participating in study that endorsed beliefs about biological differences between black and white patients. Graph courtesy of the Proceedings of the National Academy of Sciences/Hoffman et al, via The Washington Post. In this Ted Talk, social justice advocate and law scholar Dorothy Roberts presents a real example of the way dangerous myths exist in medicine today. She describes how the glomerular filtration rate — a test physicians use to see if the kidney is working properly — automatically produces a higher GFR rate if the patient is African American. You don’t have to look hard to find the largest, most recent example of environmental racism. The lead water crisis in Flint, Michigan. is one of the biggest health stories in recent years. Even the local reporters weren’t sure how big the story would become when they started their work in July 2015. The crisis in Flint has shed light on other lead-stricken communities across the country where problems have been ignored for a decade or more. In many communities facing lead contamination, the majority of the population is African American. In Flint, Michigan, over 55% of the city is African American. In St. Joseph, Louisiana, which has had issues with contaminated water for over a decade, 77% of the town is African American. It is another pattern of environmental injustice. Emergency rooms. The poor and the uninsured often use hospital emergency rooms as a primary care center. Local residents of all economic brackets foot the bill. What’s the story in your community? Here’s an example from National Public Radio in Minneapolis. Available data sets. The private sector is actually collecting racial and ethnic data on medical treatment with more precision than the government. What do insurers like Aetna know about your community that you don’t? Morbidity rates. Locating statistics compiled by the Centers for Disease Control and Prevention is a good place to start. Translation services. Medical facilities that receive federal money — and that’s nearly every one — must provide translation services for their patients. Do they? What is the quality of translation? Who are the contractors? Are hospitals, for example, using the bilingual children of immigrants to translate? A 2012 study published by the Oxford Journals examines the social characteristics of health journalists and the impact they have on the process of producing news.  The authors studied the links between the gender, age and race/ethnicity of journalists covering health, and the ways in which they used news sources, other resources, news priorities and story angles. The research found that white, male reporters were less likely than their female and minority counterparts to use a variety of sources to develop the health and scientific literacy of audiences and influence public health behaviors. Female reporters were also more likely to prioritize educating people and disseminating new and accurate information. The Association of Health Care Journalists’ section on Social Determinants/Disparities has excellent examples of reporting on health and race, as well as myriad other topics involving health care. Other examples includes the PBS investigation into the history of sterilization and Eugenics programs in the U.S. and The Washington Post’srecent piece on racial myths in medical care.